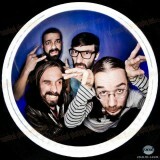 Born in 2010, Lisbon based rock band, The Quartet of Woah! 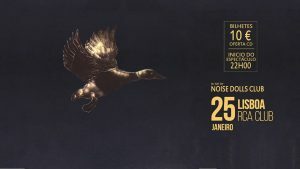 Are Gonçalo Kotowicz (LunaSeaSane, Nicorette, Melange), Rui Guerra (Melange), Miguel Costa (Blasted Mechanism, LunaSeaSane, Zorg) and André Gonçalves (Philharmonic Weed). Taking their musical differences as an advantage to build a unique rock sound, the band board on a musical journey with the self-titled album: “Ultrabomb” bringing out the best and worst in them to make songs about ambition, deception, politics and war.